50% Cabernet Sauvignon, 35% Carmenere, 8% Cabernet Franc, 4% Syrah and 3% Merlot. Like its Sister VIK, Milla Cala is a holistic wine; estate grown from the same vines and fermented together with indigenous yeast. While VIK is the precise and intense perfectionist, Milla Cala is relaxed, easy going and bohemian with plenty of finesse, a delicious and easy to drink wine, that leaves you feeling refreshed. 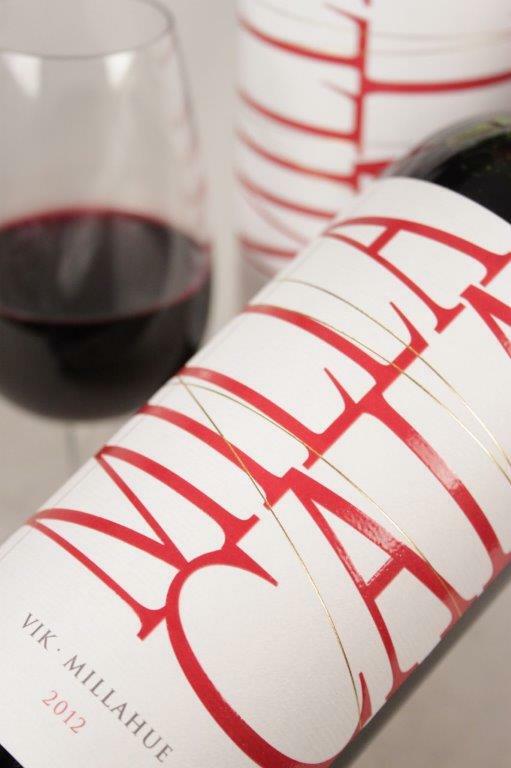 With slightly more Carménère and Cabernet Franc than VIK, Milla Cala is a rich, perfectly textured, impeccably balanced and fresh wine than its more sophisticated, elegant sister. Flavours of black cherry and plum are underscored by a hint of black liqourice and eucalyptus with a bittersweet chocolate finish. Milla Cala is ready to drink today, with very soft, manageable tannins and a round, velvety feel in the mouth. Milla Cala lies at the crossroads of the old and the new world. Crafted by Patrick Valette, born in Chile and educated in Bordeaux, with old world wine making skills and French culture, yet grown on the land of the Mapuche and the Spanish who replaced them. The name Milla Cala fits its origins, derived from a combination of our valley’s Mapuche name Millahue, and the Spanish Cala, a synonym of our Norwegian name Vik, Milla Cala is a wine from VIK in the valley of gold.